According to the team at Conversion Science, Smart Shopping was introduced by Google in 2018, signifying another step towards automated and machine-learning focussed advertising. Here, they provide their insights. Tested and developed under the universal shopping beta banner, this new feature made its debut in Google’s goal-optimised portfolio on 8 May 2018. 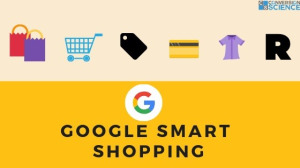 So, how does Smart Shopping differ from its hugely successful predecessor, Google Shopping? And is it right for your digital advertising objectives? Conversion Science has garnered some insights over the past couple of months and, before you pause all your regular shopping campaigns and embrace Smart Shopping 100%, we suggest that you weigh up the pros, cons and limitations pretty carefully. Smart Shopping is a feature that marries the visual appeal of Google Shopping and the dynamic flexibility of responsive remarketing in a campaign. Google promises expanded reach of your ads over the Search Network, the Display Network, YouTube and even Gmail. Using your existent product feed and assets, injected with machine learning, a host of relevant ad permutations are created. The strategy based on automated bidding, ad placement and ongoing testing of text and image combinations is geared to provide you with the best possible conversion value for any given budget. If you’ve experienced the tedium and heavy lifting of setting campaign priorities, product groups, bids and negative keywords in traditional shopping campaigns, you’re bound to agree that there is a lot of allure in this new low maintenance, self-driving campaign subtype. Now, smaller businesses with limited budgets can also qualify for an unprecedented reach and the maximised conversion technology of automated bidding. It’s a great tool for vendors to access upper funnel users. In this stage of intent, brands are explored, discovered and introduced. With Google Smart Shopping, you can group a selection of products together and present them to users or even showcase a catalogue of related items. These showcase ads will display for broader/generic terms such as 'T-shirt', and a useful format to utilise when trying to influence brand consideration higher up in the conversion funnel. With maximum CPE (cost per engagement) bidding, you only get charged when someone expands your ad, spends 10 seconds in it or if a product or link is clicked on. The first click on your ad is effectively free. Perfect for start-up ventures! Right, so adhering to this policy sounds easy enough. So, what’s the catch? Well, as with any 'smart' type tools, there are a couple of drawbacks. You cannot segment by placement to determine which networks are performing better, which menas you can’t identify whether your shopping component is performing better than your display component. Columns that are not available are 'search impression share', 'click share', 'search lost' (budget and search lost (Rank). Moreover, shared budgets are not available. Additionally, Smart shopping campaigns are not supported by Google AdWords Editor. With smart campaigns, you lose the ability to fine-tune aspects that would have previously given a campaign the competitive edge. It’s early days yet, but let’s face it: Ultimately, Google automation and machine learning in any form challenge the micromanager in every one of us. For more information, visit www.conversionscience.co.za. You can also follow Conversion Science on Facebook.